You are not logged in. Create an account or sign in to see our full selection and competitive industry pricing. 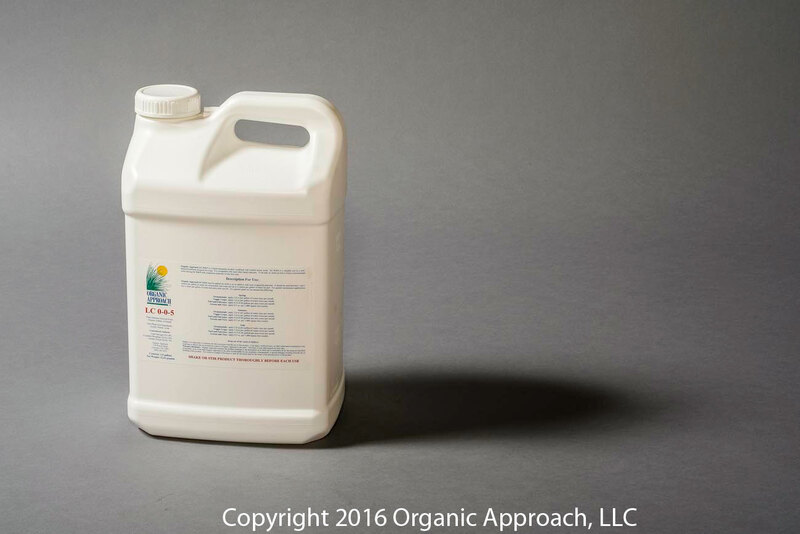 LC 0-0-5 is a liquid organic potash solution derived from NOP approved sulfate of potash powder and combined with humic acids. It is a great potassium supplement for plants or soil that are showing signs of potassium deficiency. Potassium deficiency is difficult to notice, as various plants and or crops display this deficiency differently. Generally dead or dying tissues, yellowing of leaves point to a potassium deficiency. A plant tissue test along with a soil test is the best method for determining the current deficiency of the plant, if one exists. Your soil eco system as well as the environment around the plant(s) determine how easily they are able to utilize potassium. Cold soil and high moisture have been shown to reduce the availability of potassium to plants. LC 0-0-5 can help solve or counteract potassium problems in plants if applied at the first sign of potassium deficiency. 2.5 gal bottle (2X2.5 CASE) Price is for a full 5-gal case (2 X 2.5 gal). Order Quantity reflects the number of full cases being ordered. Please click here to create a professional account. This product is designed for adding a soluble form of potassium to the soil to assist plants in their growth and development. LC 0-0-5 is a unique blend with our humates to help provide an increase in available soil nutrients for the plant as a bonus. LC 0-0-5 is exceptionally useful for sandy or clay soils as the humate has various benefits such as increasing the water retention capacity of the soil as well as the plant available macro and micro nutrients in the soil. ORGANIC APPROACH is a registered trademark of Organic Approach, LLC.